This artistic research is undertaken from my perspective as an Australian born musician with experience of many years spent living in diverse cultural contexts. The main area of focus is on the process of forming an artistic identity, which is not bound by one dominant cultural reference point but is informed, inspired and constructed of many diverse influences, through interaction with different cultures. In the broadest sense, this research falls under the umbrella of transcultural arts practice and draws on concepts such as third space theory and nomadism. Collaboration and effective intercultural communication are identified as key factors in this workand I examine how this process takes place within the context of working together with groups of musicians, dancers and visual artists from different cultural backgrounds, and the effects of these collaborations on my own artistic identity. New approaches, techniques and sound manipulations are explored for the double bass, drawing on research into traditional bass end plucked instruments from different regions of Africa. This includes researching the traditional acoustic distortion mechanisms found on the bolon from west Africa and the litungu, ilimba and ndono from Tanzania. 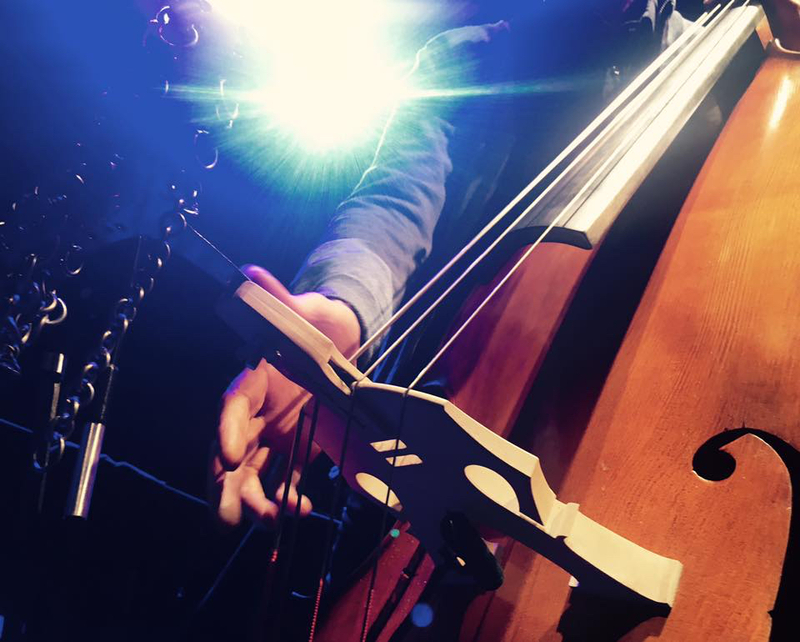 The double bass is augmented with acoustic buzzing attachments, as well as electronics driven into the body of the bass. Each concert features newly created music as an outcome of these processes. The 5 concerts investigate the musical outcomes of intercultural communication, collaboration and newly formed artistic identities in a transcultural context by exploring different starting points and methodologies for transcultural arts practice. These include devising collaborative processes with musicians and other artists from diverse cultural backgrounds and the development of new approaches, techniques and sound manipulations for my instruments, inspired by interaction with cultural diversity during more than 20 years spent travelling and living away from my homeland of Australia, including 5 years living in Africa. Each concert features newly created music as an outcome of these processes. "WORLD MUSIC IN THE MOST POSITIVE SENSE. IF IT MUST BE CATEGORISED, FILE UNDER 'BEAUTIFUL' ".